Restaurant opens second branch in Kajang upon customers’ request. Fridays, closed from 12.30pm to 2pm). AL DIAFAH Express is a hit with the Arab community who come from as far as Putrajaya and Bangi for a taste of the Middle East. Owner Salleh Kym started with a small shop selling food products such as dates and nuts. He expanded his business and opened Al Diafah Restaurant in Sri Petaling, Kuala Lumpur, followed by another in Kajang. “We set up this new branch in Taman Putra Kajang three months ago due to requests from regular customers at our main branch. “We plan to open restaurants in Shah Alam and Damansara in one to two years,” said Al Diafah restaurant manager Harris Harvey Siddick. 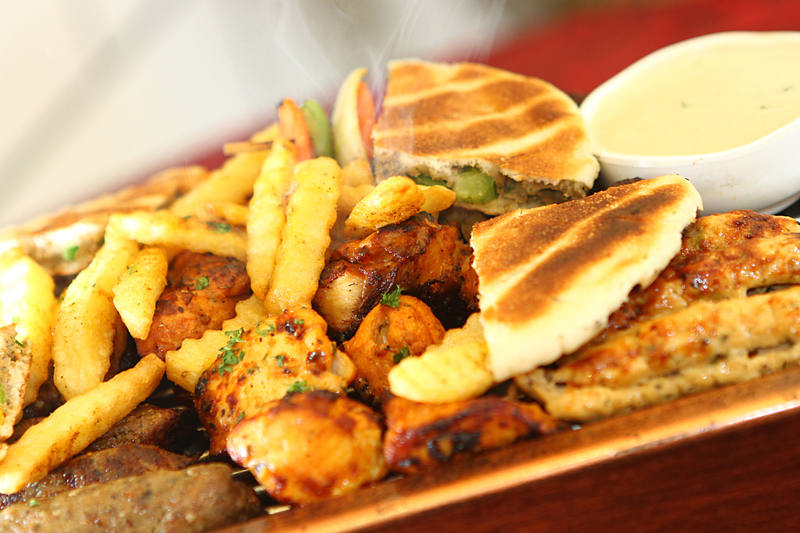 The popular Royal Mixed Grill is served with crunchy toasted Arabian Bread stuffed with lamb kebab dipped in Tahina Sauce. The most popular dish at Al Diafah is the Royal Mixed Grill (RM95).It is served with crunchy toasted Arabian Bread stuffed with lamb kebab dipped in Tahini Sauce (a mixture of egg, yoghurt and Arabian secret ingredients), smokey-flavoured chicken kebab known as Shish Tawouk as well as lamb chop. The lamb chop was tender and juicy. It was cooked on a charcoal grill along with the other meats. According to Harris, the dish takes about 20 to 25 minutes to prepare and is made to order. “Since the Royal Mixed Grill comes in a big portion, it can be enjoyed by up to four diners,” added Harris. We began the meal with Mixed Salad or Fotoush (RM25) which was served in a platter comprising tomato, chopped parsley and olive. The slightly sour dish provided a healthy start to the meal. Another popular starter is the Hommus (RM15), comprising blended chickpeas, parsley and olive oil. It goes perfectly with Arabian bread (RM1 each piece). Next was Al Diafah Rice with Mendy Lamb (RM35), Al Diafah Rice with Mendy Chicken (RM20) and Mendy Rice with Mendy Chicken (from RM15). It came with a small plate of rice sauce (mixture of tomato, chilli, salt, vinegar and sugar) and barbecue salad (mix of Japanese cucumber, vinegar, salt and sugar) for added flavour. 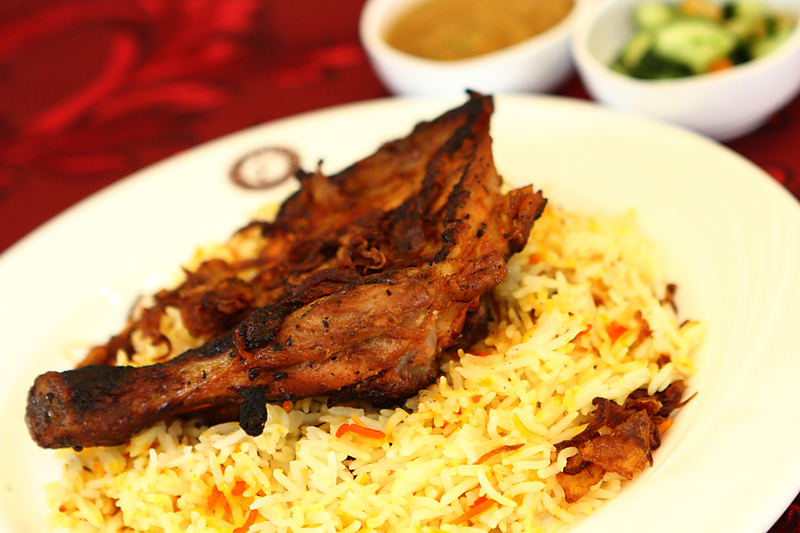 According to Harris, Al Diafah Rice, one of the restaurant’s signature dish, is akin to briyani rice, while Mendy Rice is similar to basmathi rice. Harris said the rice was prepared at the main restaurant in Sri Petaling before being brought to the Taman Putra Kajang branch and kept in a steamer. The feast ended with a tempting dessert, Mohalabia (RM19). The thick texture, a combination of milk cream and custard with sprinkled chestnut on top, is reminiscent of milk pudding.